Protect computers and other sensitive electronics with reliable backup power. Boost Automatic Voltage Regulation preserves battery life and maximizes runtime by correcting low voltages without discharging the battery. Adjustable voltage sensitivity adapts the UPS for optimal performance in specific power environments or generator applications. Intelligent, micro-processor battery management for maximum battery life. Power conditioning protects connected loads from surges, spikes, lightning, and other disturbances. Automatic battery self-test ensures early detection of a battery that needs to be replaced. Hot-swappable batteries deliver clean, uninterrupted power to protected equipment while batteries are being replaced. Audible alarms provide notification of changing utility power and UPS conditions. 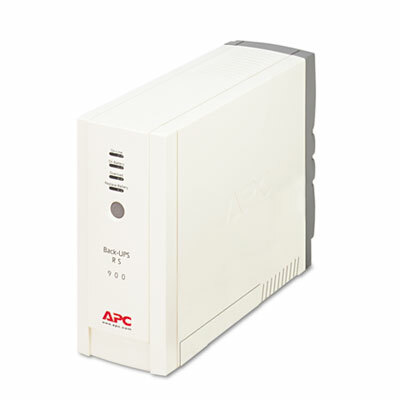 Combination of battery-protected and surge-only outlets reserves power capacity for connected equipment that requires battery back-up. Disclaimer Statement(s) Run Time based on a load of 270 watts.